Marianne Gedigian, flute, Professor of Flute and holder of the Butler Professorship in Music at The University of Texas at Austin Butler School of Music, was a regular performer with the Boston Symphony Orchestra for over a decade, including several seasons as Acting Principal Flute under Seiji Ozawa. As Principal Flute with the Boston Pops Esplanade Orchestra and Acting Principal Flute with the Boston Pops, Ms. Gedigian has been heard on dozens of recordings and Evening at Pops television broadcasts as well as the nationally broadcast Fourth of July specials. She has also been heard on several John Williams’ movie scores, including Saving Private Ryan and Schindler’s List. In the 2000 - 2001 season, Ms. Gedigian was invited by Mariss Jansons to perform as Acting Principal Flute with the Pittsburgh Symphony Orchestra. Her solo performances have taken her around the world, including recitals in Japan, Australia, England, and Armenia and she has appeared as concerto soloist numerous times with the Boston Pops Orchestra and with the Armenian Philharmonic performing her own transcription of the Khachaturian Violin Concerto. She was featured with Ian Anderson of Jethro Tull fame in a performance at the Berklee College of Music in Boston. Ms. Gedigian has been a featured soloist and teacher at numerous National Flute Association conventions across the country, and is a frequent recitalist and teacher for flute clubs in the United States, Australia, Japan, and England. Ms. Gedigian has been first prizewinner in the National Flute Association’s Young Artist Competition, and the James Pappoutsakis Memorial Flute Competition. She keeps an active schedule as a chamber musician as a founding member of the Boston-based Walden Chamber Players and was formerly a member of the Dorian Wind Quintet. Her solo recordings include Voice of the Flute and Revolution, both with pianist Rick Rowley. 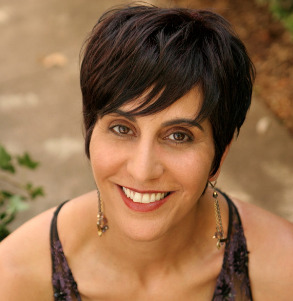 Ms. Gedigian is on the summer faculty at the Brevard Music Center, and has served on the faculties of Boston University’s College of Fine Arts, The Boston Conservatory, the Round Top International Institute, and the Tanglewood Music Center. Ms. Gedigian’s teachers include Leone Buyse, Doriot Anthony Dwyer, Clement Barone, and Donna Olkowski.